Zsolt Szemerszky is a National Quality Prize Winner Revenue Specialist and Author. 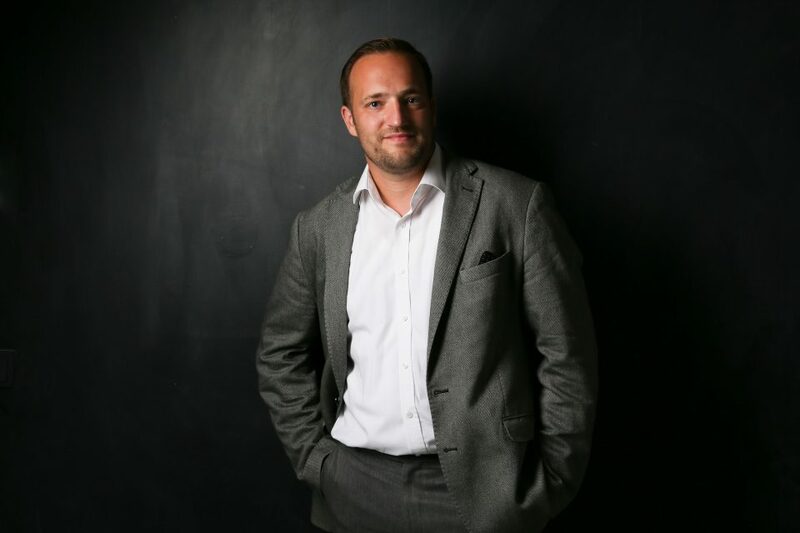 His aim is to help people and corporations to achieve their highest ambitions. 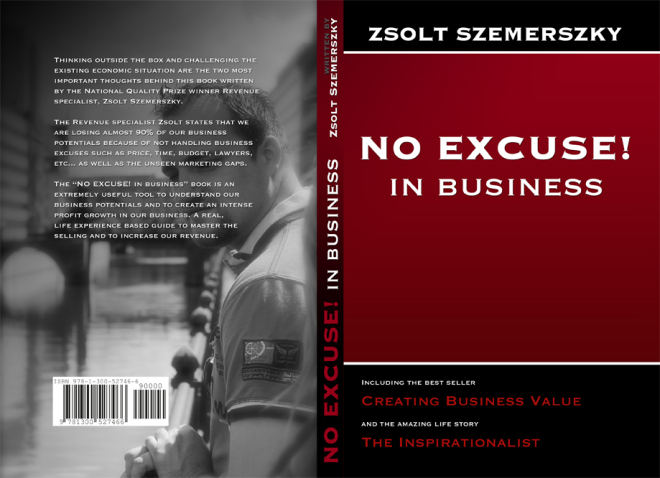 Being an author of multiple books, published in over 50 countries world-wide helped Zsolt Szemerszky to create business values for people and to motivate them in the road towards their aims. “Every mountain can be climbed just you have to find the appropriate way to it. If somebody does not achieve it’s goal then he has not done everything to achieve it. The secret of success is persistence! But perhaps the most relevant of his personality is his honesty, his dedication to obtaining the best results and his kindness that make him one of the most prestigious professionals and a dear friend. Why have you decided to help others with your experience and knowledge? I believe that one of the most valuable gift one can offer to someone is the knowledge to help him/her to reach his/her highest ambitions. In my early years I started as a self-made entrepreneur however later on I had the chance to experience the rapid development by utilising the support of various business mentors. I believe that those who have the willingness to learn and improve can always capitalise the experience of others. In 2006 I got a National Quality Prize, which was a long time ago but it was the moment that has made me realise that I did something valuable. Since then I continuously try to share what I learn on my life path. My intention is not to change anyone rather to motivate people to see things from a new and often different perspective. There are a lot of different companies, markets, situations that must be difficult to advice. You will need good information to understand the best way to act to solve problems and to gain trust of companies. I would like to know how you work with them and how you can improve their revenues. There is a saying that success is like cooking… there are proven recipes but in order to accomplish long term results you really have to understand the individual and market specific needs. As you perfectly described there are many similar companies and markets but what works for one might not work for the others. I also believe that the worse business strategy is copying a competitor because it means your business will be always second. For me every business consultation starts with understanding the problems, which is the key element for any kind of improvement. I believe to accomplish success you definitely need a great understanding of the current business situation, challenges and the future aims. But also you need to have the steady and life experience based knowledge to challenge the existing and to improve it by implementing company specific changes. Obviously change is one of the most feared thing after death and many people do not have the persistence and patience to properly adapt to change or even worse to accept that problems might exist. Once we can clarify the challenges we can always find positive solutions to reach the goals. Improving corporate revenue starts when the owners or leaders have a mutual agreement on the new goals. For example one of the typical mistake I see in many companies is that owners pay for employees for the hours they spent in the office and not based on the results they actually deliver for the company. This can be easily improved by implementing measurement indicators. Based on my experience every business can be improved when you optimise its business processes and you create a measurement indicator to monitor those implemented changes. This is one of the key to maintain long term results. Do all the companies tell you the truth about their real situations? Eventually yes. The beginnings are often difficult because people usually do not like to talk about their business problems and underperformance.Not to mention that people often do not try things if there is a risk of failure because when defeat overtakes a man, the easiest and most logical thing to do is to quit. I think it is a bad habit in our human nature. There is nothing to be ashamed of regarding underperformance or temporary failure. Business markets are usually in a continuous and often rapid change. Therefore old business models needs to be updated. Also there is an old rule that nothing changes behaviour like pain. I often explain to my partners that there is a big difference between failure and defeat. Failure is a temporary thing, while defeat is the moment when you stop trying to improve. There are a lot of coaches but what is the value that you can add to be different? There are way too many business coaches and sadly there are only very few who can truly accomplish long term results. It is always easy to tell during a one day conference about idealistic wonders and how one’s life can improve by reading this and that book, or paying for an online seminar. However what really makes a difference is when a business coach is ready to actively help you to make the first steps. I am quite picky with my clients because I like to see their willingness and motivation to change, as well as their appreciation for my help. Once I accept a new client I am usually there for him/her during the first one year. I often invest endless hours to create prosperity for the business and less stress for the owners. I believe that the art of doing business is doing business without any business at all. Just enjoying it. Just think about it, iff a person has enough time for new ideas and development backed with the requested funds then he/she can take his/her business to the next level. Most of us do not start with a strong background but with persistence we all have the chance to accomplish this state. You have been in Monaco for four years. It is a special country for many issues in fiscal, economic, labor, etc. You are now a real expert in advising the best way to work in this country, to open an own business, bank accounts and to get the best profits. 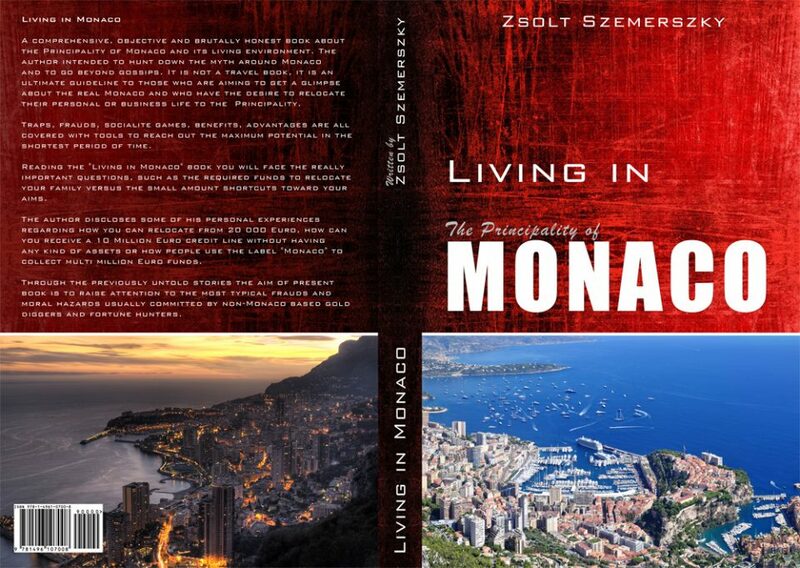 You have embodied all that extraordinary experience in your book "Living in Monaco". Could you advance to us some interesting keys? Yes, I wrote the “Living in Monaco” book to help entrepreneurs to safely setup a business in Monaco, to investors to find trusted partnerships and also to private individuals who simply aim to improve the quality of their lives. One thing I would highlight is the fact that people rarely speak about how family oriented Monaco is. You can setup a business, you can aim for taxation benefits, but I think it is also important that the Principality is much more than that. 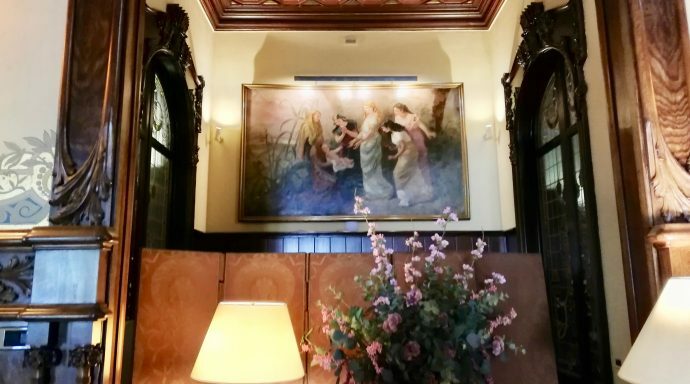 Beside the enormous effort that Monaco makes to continuously maintain its economic momentum, it is also very supportive for the families living in the Principality. I like this fact because I believe money is not the primary asset in life but family is. Also I think it is important to understand that Monaco is a highly concentrated place for the rich and the accomplished people. Once you are relocated you have the chance to network with the most inspirational people in the World, who can motivate you and often help you to go to the next level. Being among this influential circle you can easily reduce the timeframes of your goals. Can a person achieve wealth working hard in Monaco? I am referring to average people. You can always accomplish success when you dare to dream, when you are ready to step out from your comfort zone and when you are persistent. The thing is that you can not jump over a giant rift with multiple small jumps. To jump over a rift you will need to collect all your energies and you have to make a big jump. Just as if you want to change your life situation you have to make a big and courageous decision s price, time, budget, lawyers, etc... as well as the unseen market gaps. In order to offer real-life advices the book tells a compelling story about me and a business partner, a story how a “tired of life” entrepreneur found new inspirations and motivation to accomplish more in his life.and act based on that. Monaco is competitive and a concentrated market with the right people, however you can not be rich by doing the same regular job as others. You need to reach out for your inner ideas and realise them. Yes, as children we were told that outside our comfort zone (our home) there are monsters and it is scary, however in reality the fun starts when you start to discover the unknown, the endless possibilities. This is also when you give yourself the chance to achieve more. My second advice is to be patient. There are no such things as an overnight success or a “Get rich formula”. Long term success requires commitment and persistence towards the new. In this outcome oriented world many people experience depression, but if you want to be rich both financially and spiritually then do not let your dreams be taken away by “NO-sayers”. Always look for the change and the momentum. Compared to other countries what differences add value in the Principality? Monaco is technically a world-wide known brand, a synonym of success and excellence. When you have a business in a protective, green and zero debt country you already have multiple leverages. I believe one of the strongest benefit in the Principality of Monaco is the fact that you pay business tax based on profit and not based on income. This is a significant benefit and a huge financial leverage to any business. Also what I really appreciate in Monaco is its supportive community. When people really get to know you and they see that you have good intentions they will help you. 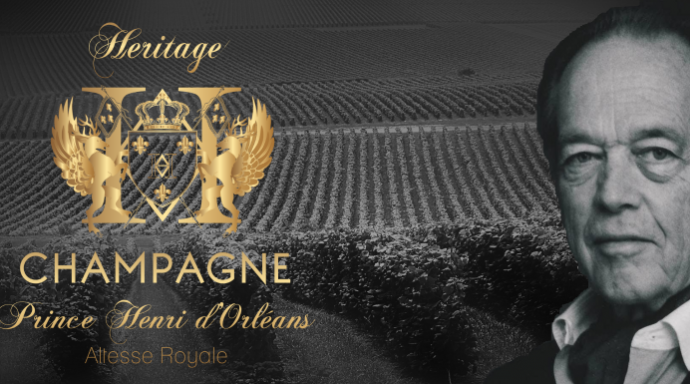 The Monegasque Government also helps you with numerous benefits. For example in the first two years you can conduct business from your home, you have taxation benefits, etc. Our interview can be read by different entrepreneurs but also by presidents and CEOs of companies that have not yet considered Monaco as a country to develop their businesses. What would you say to attract them to the Principality? Beside the previously mentioned taxation based on profit instead of income, I would highlight the community and networking. 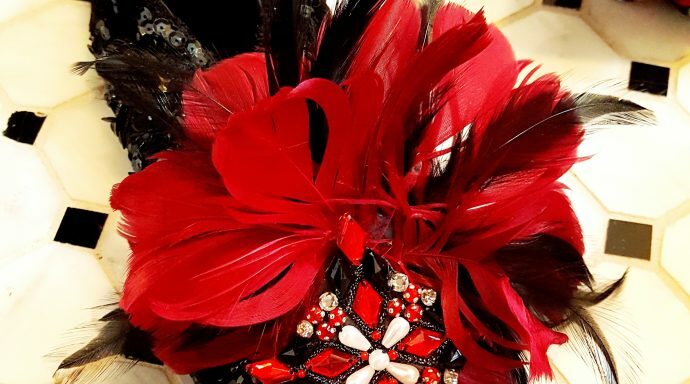 In Monaco you can easily reach out to the highly influential people during the local events, people usually you could never reach out with other approaches. Also being in Monaco, sends out the message that you have an accomplished brand. Finally, I would like you to tell me about your book "No Excuse". Sounds powerful! The “NO EXCUSE! in business” book is all about overcoming business excuses by challenging the existing economic situation. When I wrote the “NO EXCUSE! in business” book I wanted to create an extremely useful tool to understand our business potentials and to create an intense profit growth in our business. It is a life experience based guide to master the selling and to increase our revenue. We are losing almost 90% of our business potentials because of not handling business excuses such as price, time, budget, lawyers, etc... as well as the unseen market gaps. In order to offer real-life advices the book tells a compelling story about me and a business partner, a story how a “tired of life” entrepreneur found new inspirations and motivation to accomplish more in his life.